When it comes to the inside of your kitchen cabinets (the box construction or carcass) there are two main choices: plywood or particle board. 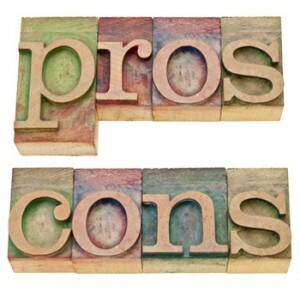 So, we wanted to send you out into the cabinet world a little more educated on this topic, sharing some of the pros and cons to each that will help in your decision making. In this article, we will delve into plywood. Let’s talk about how plywood is constructed. Plywood is a manufactured wood panel made from sheets of wood veneer; thin layers of wood which are typically less that 3 mm thick cut from a log and glued together under high pressure. The veneers are layered in altering grain directions, which actually makes this stronger than solid wood. Plywood comes in different thicknesses and varying qualities. Plywood can be made from many types of wood which include softwood or hardwood, and is available in different grades, thicknesses and qualities. On the lower end of cabinet construction, you will see soft woods typically with a thickness of ½ inches, quick drying glues and spongy filler with voids often found between the layers. On the higher end, you find just the opposite, hard woods with a ¾ inch thickness, slow drying water-resistant glue and no voids. Plywood is still a stronger material than particle board. Due to the alternating grain pattern, it will hold more weight on a shelf without sagging. If you opt for the higher quality, it will hold a screw or fastener well, absorb glues better and is highly resistant to warping. If you are concerned about the overall look of the product, plywood has a polished, solid look –the higher quality plywood is usually a real wood covering; and the lower end plywood can have a plastic coating over it made to look like a wood grain pattern. Plywood will typically withstand water damage more than particle board, so would be the better choice for areas that are prone to wetness (i.e. kitchens). You may still get some delaminating issues, but this happens more over time, whereas particle board tends to swell quickly. Plywood costs more than particle board – period. You are buying sheets of real wood veneer as opposed to particle board which is made up of wood chips or shavings. Plywood expands and contracts with change in moisture level, temperature or humidity. Plywood is not always a consistent material, so it is possible for there to be voids where the boards were combined. This can result in the cabinets not lining up perfectly during installation. If you have any concerns, ask your cabinet dealer about warranties. Plywood can be an excellent option for your kitchen, bath, or other room remodel. If you’re looking to keep your remodel costs down, sometimes it’s possible to use a mixture of both materials when it comes to your cabinets. You can add plywood to areas that are more likely to come in contact with water, such as under the kitchen sink and around the base of your cabinets, and plywood everywhere else. Whatever you decide, make sure to ask your designer for their advice given your budget and lifestyle.